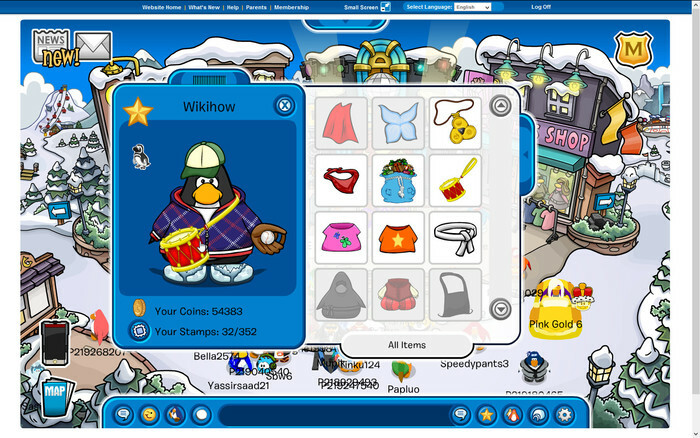 You obviously want to dress up in clothes similar to the 4 penguin official band, "The Club Penguin" brand, from Club Penguin. Right? You'll find tips on how-to dress up like them in this article. Wear a brown guitar and red sneakers, to make you look like Franky, the yellow penguin. 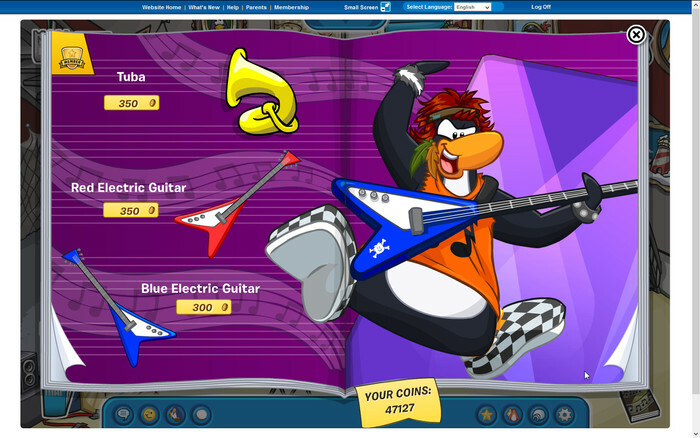 Wear sunglasses and the violin, to make you look like Stomping Bob, the red penguin. Wear the trumpet, to make you look like G Billy, the blue penguin. 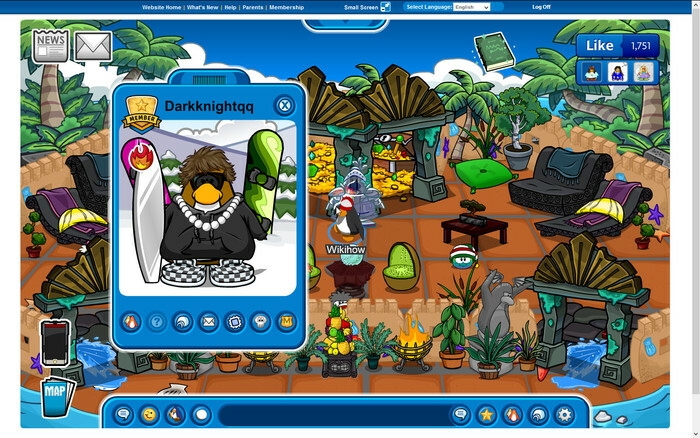 Wear aviator sunglasses, to make you look like Petey K, the green penguin. Go to the lighthouse and perform. 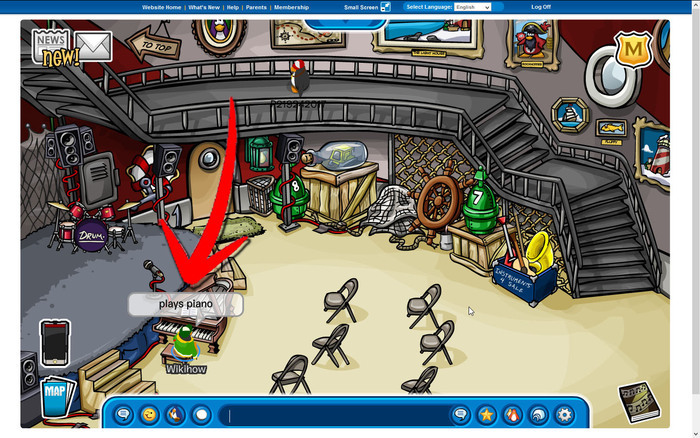 If you are Petey K, walk up to the piano and say: "Plays piano" aloud. 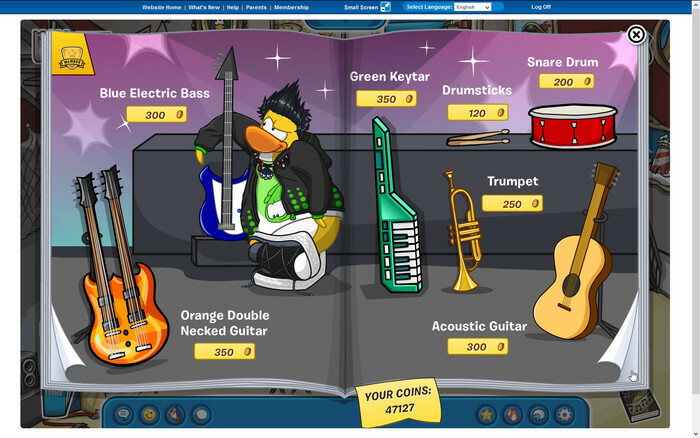 If members of the penguin band come, get their background and stamp away. 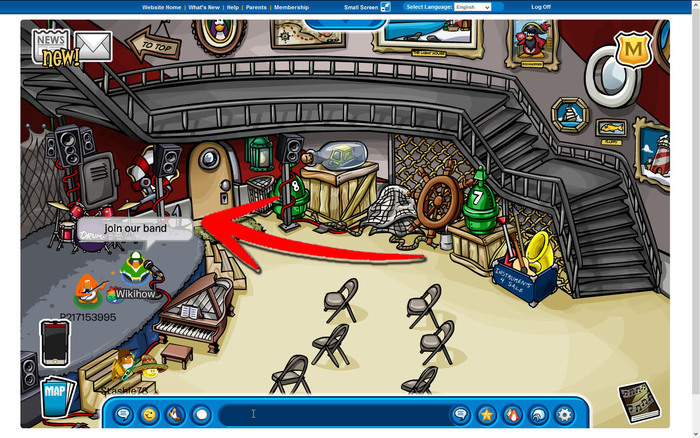 Make friends with other bands and inspire penguins to make bands!